Studying the science of hadith can be mind-boggling and confusing at times, but it only brings about a greater awareness about what it was like for the Sahabah and those who followed, and the lengths they went to preserve the teachings of the Prophet Muhammad ﷺ.
THEstudy of hadith is an amazing thing. We take so much for granted the fact that these sayings and practices of our beloved Prophet Muhammad ﷺ are available at our fingertips, and that Sahih Bukhari is the most authentic book compiled by man. 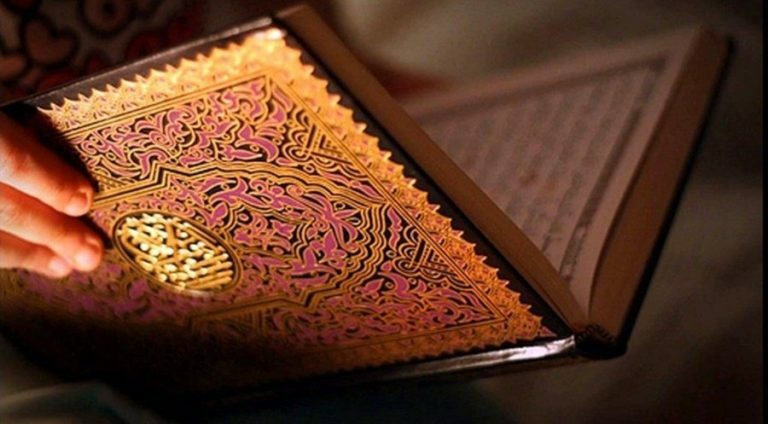 After the Words of Allah, we select excerpts of this book blindly, fully trusting its authenticity. Do we realise how much effort went into compiling this masterpiece, though? There are many factors that muhadditheen (scholars of hadith) take into consideration when narrating a hadith, not the least of which is the character of the person they heard it from. Grading something as sahih though, means it has to pass all the tests perfectly. It is essential that every narrator should have received the hadith from the previous person in the chain directly, and not just heard about it from someone else. The people in the chain of narrators are the most important part in the process of determining an authentic hadith. The character of the narrator lets us know if he is superior to others or not – in terms of his honesty and integrity. Eman was the hallmark of a Muslim in the days of the Prophet ﷺ. A man should be known to be righteous, trustworthy, truthful, and not sinful. Imam Al-Bukhari, may Allah have mercy on him, would travel far and wide to locate the narrators in the chains of hadith, to see for himself their character and trustworthiness. It did not seem in vain to him if days, or even months, of journeying were rendered useless if the narrator proved to lack the qualities he required. He once travelled a long way to get a hadith from a man, whom he happened to observe before he actually met him, calling his horse forth with the promise of fodder only to give him none once the horse approached. Imam Al- Bukhari left without meeting the man – if he couldn’t even keep his promise to his horse, how could he be trusted to pass on the words of the Prophet ﷺ? What this means is that they should have perfected the art of memorisation, and if their memory was failing them, they should have written down the hadith when it was perfect. 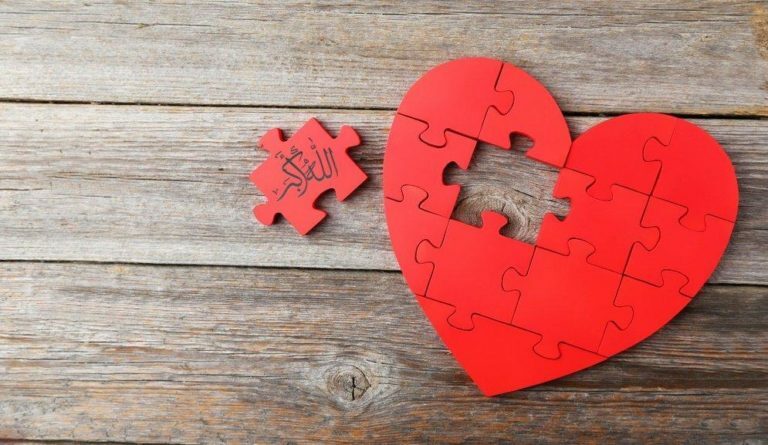 When our memorisation becomes weak, it is usually a sign that we should be seeking forgiveness for our sins – for the ability to retain comes only from Allah and our sins can block that. If a superior narrator contradicted a hadith, even if it had all the above qualities, the hadith would not be considered, since what is at stake is a 5 star grading, there could be no room for doubt. An example for this would be: Abdul Wahid bin Ziyad has narrated from A’mash and he from Abu Saleh, and Abu Saleh from Abu Hurairah that the Prophet ﷺ said, “When any of you offers the Fajr prayer, he should lie down on his right side for some time.” Imam Bayhaqi says that in this hadith, Abdul Wahid bin Ziyad has opposed a number of trustworthy narrations that state that the Prophet ﷺ did this action himself, but did not order anyone to do so; and so this hadith is irregular. This is an important mistake to rectify because the Prophet ﷺ telling us something would make it almost mandatory on us to do, while him doing it himself makes it an act that we just get extra reward for doing (nawafil). Speaking of no room for doubt, this implies that the hadith cannot have defects that a normal person wouldn’t even be able to know existed. This is where things get juicy, and is so mindblowing in the way that the muhadditheen strove to eliminate all possible doubt, so that a sahih hadith could be quoted blindly by the layman with no cost. It should be proven that the narrator was the student of that particular Sheikh or preceding narrator in the specific time that the hadith was narrated. For example: Sheikh Muhammad taught at the Islamic Centre from 2012-2014, and Abdullah is a student of the Islamic Centre, but was it at the same time that Sheikh Muhammad was there? And was he even in his class or did Abdullah hear a statement of Sheikh Muhammad from one of the other students? There is no room for human error. The general chain of narrators goes as follows: Starting with the Prophet ﷺ, who narrated a hadith to the Companions (sahabah), who passed it on to those who came after them (the tabi’een), who in turn passed it on to their students (the taba’ tabi’een), until it reached the narrator. The chain could be long, and one hadith can have multiple chains of narrators simply because the Prophet ﷺ would have mentioned it amongst a group of sahabah, who in turn mentioned it to different people, and so on. The hadith: “Save your heels from the fire” [Bukhari] regarding washing them properly when performing ablution has 28 different chains. I’d like you to imagine this: Bukhari tracked down all those narrators from all those chains, to ensure their memory and character were absolutely perfect, before recording it. 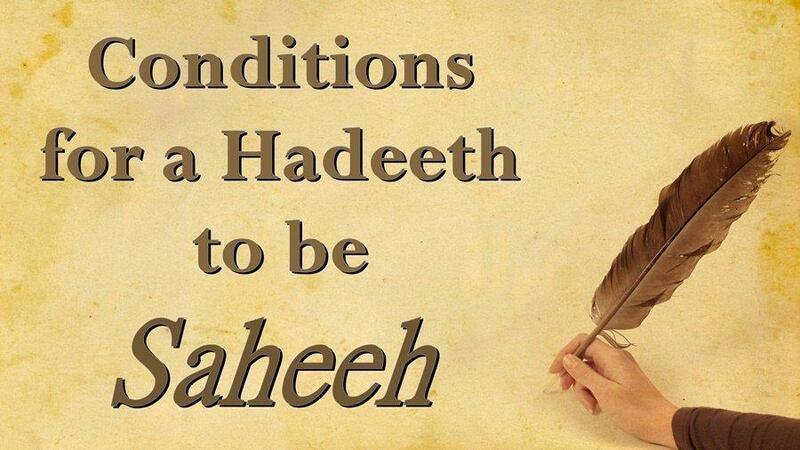 Which means that even if the sahabah narrated it perfectly, the tabi’een should not hesitate or be doubtful about the hadith when narrating it because his notes were not clear. Even a small defect down the line meant that it was not recorded with that chain. The method of transferring the hadith from one person to the other needs to be known. Before we dive into this point, there are a few examples to be mentioned first. When reading a hadith in Arabic,few pay attention to the chain of narrators. In fact, we mostly skip it all in favour of the actual text. However, the simple term “I heard”, or “the Messenger ﷺ narrated to us” shows us that the narrator was actually present and witnessed the narration first hand (which means it’s more reliable), as opposed to “from so and so” which could mean that they just heard it in passing from someone else, and its reliability is impossible to pinpoint. In determining the authenticity of the hadith, this part is very important to note. A lot of books – including An-Nawawi’s 40 hadith – start with this narration, and its source is credible because Umar heard it first-hand. Not having this kind of information – ie: if the narrators just report a hadith by saying “from Yahya bin Sa’eed, from Sufyan, from Abdur-Rahman bin Zubayr” – the authenticity of such a hadith is affected considerably. Even if it is proven that the narrator was the student of the teacher generally, the hearing of this particular hadith has to be proven too. Taking the example from the first point, maybe it was proven that Abdullah was a student of Sheikh Muhammad during the time that Sheikh Muhammad taught there, and he was even a part of his class. However, it also needs to be proven that he was present in class at the time that this particular hadith was narrated, and wasn’t asleep or off on a bathroom break. SubhanAllah, the detail! It gives you so much more appreciation to know what these great people of the past went through to hand us all this information on a silver platter. The hardest thing we have to do now is type in the Google search bar!